A funky little chunk of land contaminated by creosote is worth less than nothing to the City of Colorado Springs but will complement the U.S. Olympic Museum site, City Council members determined Monday. The property – just shy of an acre, at 42,766 square feet – has never been developed since the city acquired it in two pieces in 1958 and 1969. The land, at 228 W. Cimarron and 400 S. Sierra Madre streets, has an appraised value of $76,979. But remediation would cost $50,706 plus $304,004 to provide clean soil 3 feet deep to cover the surface. So in essence, the land would cost the city $277,731 to use, if it could be put to use, said Peter Wysocki, city planning and development director. And at this point, the site couldn’t be used without undertaking extraordinary measures. The city parcel is surrounded by property owned by SRPC LLC, which is donating its land – and will give the city’s as well – for use as part of the Olympic Museum. When the city lets go of the land, with a council vote expected in November,it also will shed all liability for the contamination. Plus, the little parcel will contribute to creation of the Olympic Museum, which is regarded as a key development for southwest downtown. Supporters have obtained commitments of $42 million toward the $80 million being raised for the museum’s design, construction and an endowment. The 60,000-square-foot museum is to be erected in an industrial area near Vermijo Avenue and Sierra Madre Street, not far from the Martin Drake Power Plant and America the Beautiful Park. The museum is one of four entities proposed as part of the City for Champions project. The other three projects envisioned are a downtown events center, which has yet to undergo a privately funded feasibility study, a new Air Force Academy visitors center and a sports medicine and performance center at the University of Colorado at Colorado Springs. Meanwhile, Olympic Museum officials say their venue has been elected to the global Olympic Museums Network (OMN), receiving the designation Sept. 25 at the Olympic Museums Network’s 10th General Assembly in Richmond, British Columbia, Canada. The Olympic Museums Network, founded in 2006 in Lausanne, Switzerland, is a 27-member multi-national group that promotes sports and the global Olympic movement. 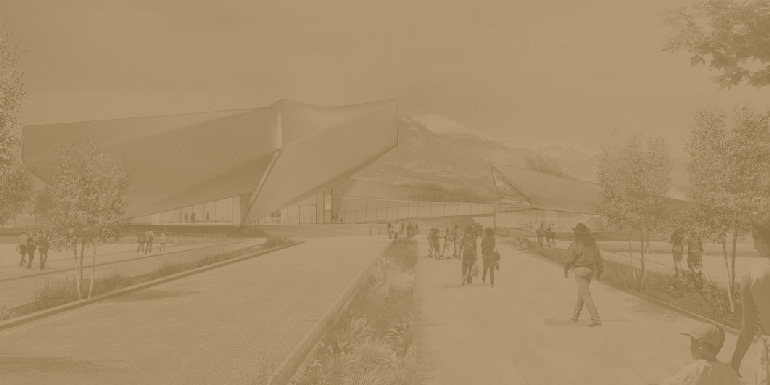 Membership in the network will give the Olympic Museum in Colorado Springs an opportunity to exhibit artifacts from The Olympic Museum collection in Lausanne, among other benefits.